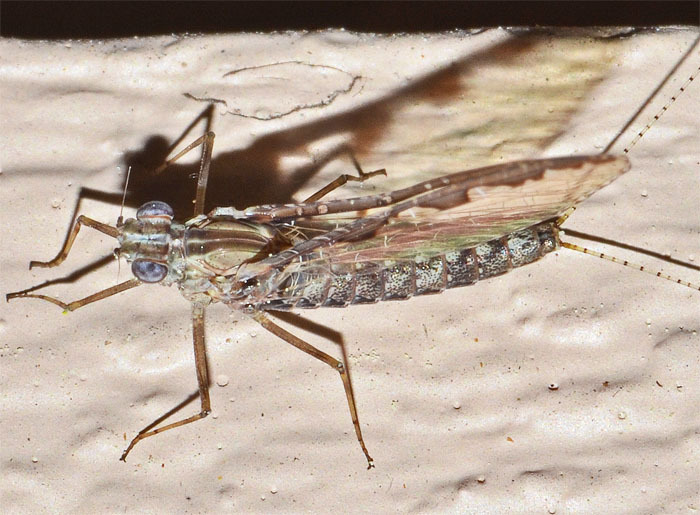 This mayfly is Callibaetis pretiosus. There are 12 US species in this genus. They are highly tolerant of ecological extremes. Female imagoes usually have intensely colored leading edges of their forewings. 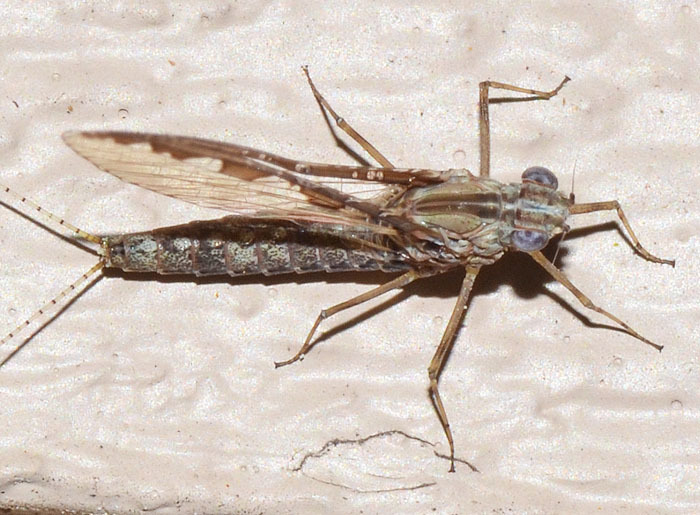 Lots of interesting information on this very important mayfly can be found via the flyfishing link.